Once you agree to become a Free Member / Elite Member / Badge Member of Indian Food Recipes, you agree to give us the right to use your videos, recipes, photos to be shared on our Facebook, Instagram, Twitter, Website, Google+ and other social media platforms. We hold the exclusive right for the promotional post edited by us and shared on our social media platform and our edited promotional post photos and videos cannot be shared by any other 3rd party without our prior permission. It is completely upon us whether to share a specific post or not. The promotional post shared on our Social media platforms and our website can be deleted or removed anytime if decided by our team. All services provided are temporary contractual based services which can be modified without any notification. We take no guarantee of any specific reach, like, comments, share, views for any post on our social media platform as well as on our website. It depends and varies from post to post. The Data and statistics calculated are based on actual past history. This can vary as per current market scenario. Only after approval of the post by our technical team, the post will be shared. Once the fees is paid for specific service and the service has been delivered or under production after the approval of the client, the fees are strictly not returnable. We take no responsibility for any other people misrepresenting us or trying to wrongly impersonate us. It is completely the responsibility of the person to verify the authenticity of such communication with our proper channels. 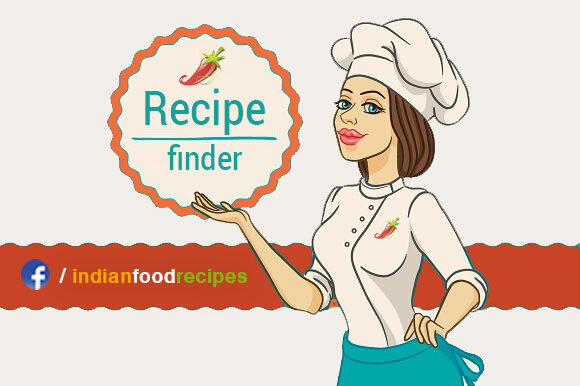 Our Official email id is info@indianfoodrecipes.net. For any doubt and before any payment please confirm it with us through email. For Bloggers and Chefs, you have agreed to be contacted by us through email, sms, whatsapp, facebook message or telephone call. To all our members, subscribers, sponsors, advertisers, product marketers, we would like to request you to kindly read our disclaimer before joining, signing or giving us any contract. The result of advertising in today’s world depends from time to time, product to product, channel to channel. We give no guarantee of any specific reach, like, share, comments, views for any campaign or post shared on our social media platforms. All the statistics, calculation, examples shown on our website and profile are based on past performances. There is no guarantee such type of performance will continue. It can perform better also or it can perform below expected results also. The Algorithm of various social media platforms are changing on day to day basis and we have no control over such changes effecting results of campaign or post shared on our social media platforms. We believe in organic reach but, if anybody wants us to do paid reach, we entertain that also on behalf of client. We try to be as transparent as possible with all our members and as well as with all our clients. To know more about current Marketing / Social platform Algorithm change in scenario, you can also click the link below and study the article for more information.